Get ready New York because there is an epic opening of style tonight! 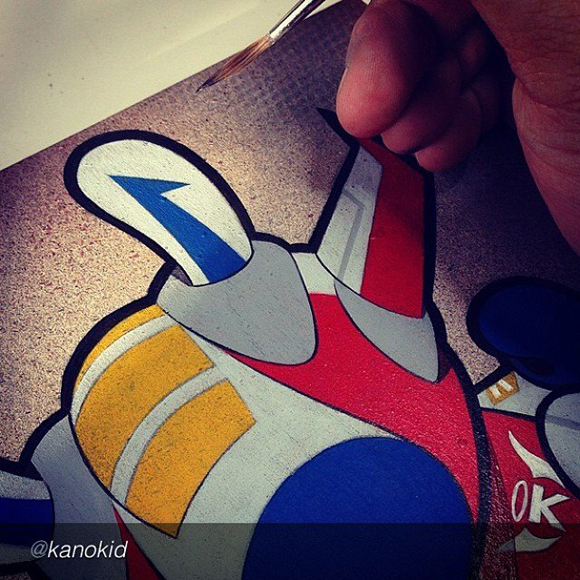 myplasticheart presents Lost & Found, featuring new works by our friend and New York native kaNO. His new exhibition showcases a compilation of reclaimed objects, sampled and remixed for your visual pleasure. 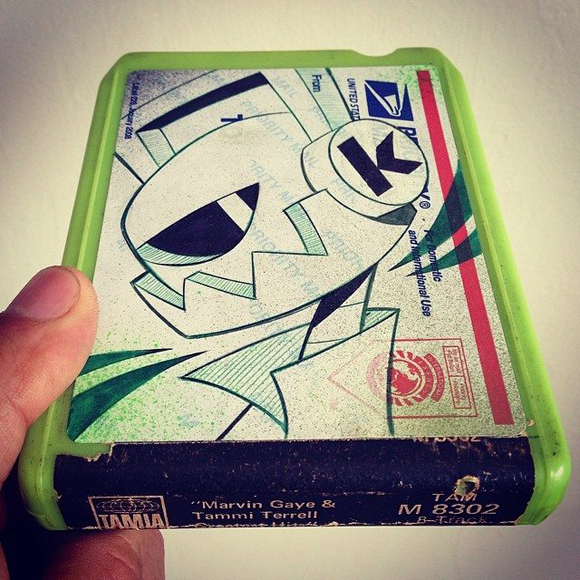 From obsolete items to everyday objects, kaNO takes you on a mixed medium ride as he redefines them into art pieces. Look for everything from reclaimed 8-track tapes brought back to life with brilliant art to discarded cd cases that are now perfect for your wall! The opening reception goes down TONIGHT May 16th from 6-9PM EDT at myplasticheart in the Lower East Side NYC. kaNO will be in attendance so you can talk about his work and probably question him about an upcoming series we are all waiting for. DJ Chela will be spinning for your pleasure while you munch on the refreshments. The exhibition runs through June 15th.